HOA Board Members, Community Association Institute members and industry professionals took part in a special effort to show opposition to SB 1429 – HB 1290 and the accompanying amendment on Wednesday, April 3. 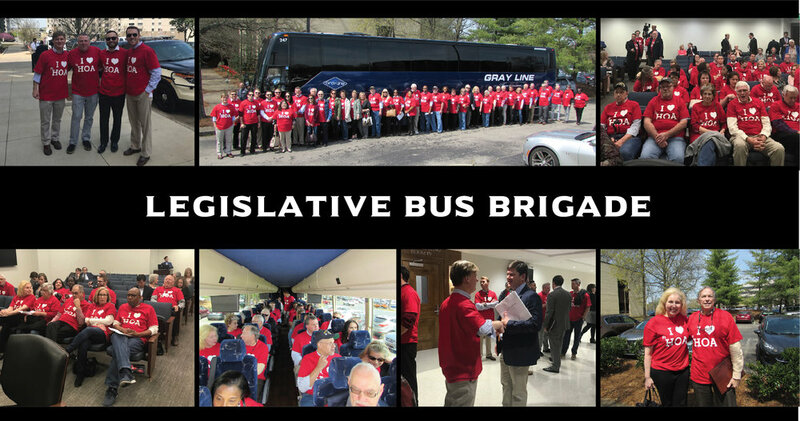 Over 50 homeowners wore red shirts saying, “I Love HOA”, and rode a bus together to the Cordell Hull Building for the House of Representatives’ Committee hearing. Please contact your own House and Senate Representative to voice your opposition to SB 1429 – HB 1290 and the accompanying amendment. Older PostSpring has sprung....Ready, Start, Go!! !